As the Electric Vehicle (EV) industry grows in Australia, the need to get a more proactive glance at EV charging issues and solutions for strata buildings is at large. Not only is there a projection for EV to be 31.9% of the nations yearly vehicle sales in the next 20 years (AEMO) but there is also a projected decrease of more than 50% in energy storage costs in the next 20 years (CSIRO). Charging the odd EV may not affect strata common area power bills significantly in the present. However, due to positive EV cost trends, it is fair to assume that common area bills will rise in response to increased EV uptake and with more vehicles "plugging in". Reduced stress on strata building power distribution infrastructure upon multiple EV charging bays. Possible direct supply for EV charging. Reduced carbon footprint for EV charging (as opposed to grid charging where generation comes from coal powered generators). 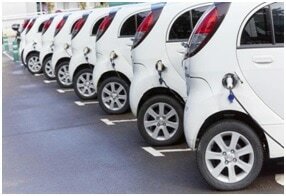 Installation of EV charging bays in car parks themselves is also a future topic to consider for strata managers. This can be used as a method for strata managers to control pricing on energy consumption given an integrated monitoring system, instead of vehicles being charged unmetered as they are today. As seen with Newtown’s Stucco apartment block, the movement towards Solar PV co-located with energy storage has already started. The EV charging boom for Strata is set to come soon. The question is which strata managers will be best positioned to take the lead. For further information visit the links listed below for the corresponding topics.